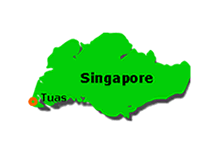 Overview: The construction of Tuas Power Station started in the mid 1990s. The plant has steadily grown to be a significant player in the competitive Singaporean electricity market. 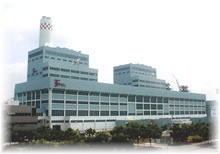 Stage One of Tuas Power Station is equipped with the country's largest steam generators which are capable of producing 600 MW each. 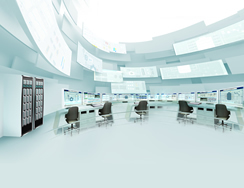 Overview: Yokogawa supplied an integrated distributed control system (DCS) for this plant's very large power generation units as part of the work in stage one. Yokogawa Electric Asia Pte. Ltd., Singapore produced the control system in Singapore and carried out all engineering work. The plant successfully entered commercial operation on schedule and the plant owner attributed this in part to Yokogawa's good performance in delivering both products and services. In addition to supplying Instrumentation & Control (I&C) equipment, Yokogawa handled system design/engineering, configuration, project management, commissioning services and maintenance. Operator/engineer training on a replica simulator and control room design were also provided. A full scope, high fidelity training simulator was supplied by a wholly owned Yokogawa subsidiary, TechComm Simulation Pty Ltd. This simulator provides training in all aspects of operating complex plant systems. It has made a significant contribution in raising the skill levels of the highly motivated Tuas Power Station workforce. 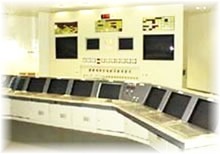 Yokogawa also designed the Tuas Power Station's Central Control Room, which has won praise from users for its good operating environment. Our CCR design methodology emphasizes the importance of sound ergonomic design in reducing operator errors and facilitating the smooth running and control of processes.